← Is DOE Headed for Trouble with Congress Over Its Transfers of Nuclear Expertise to Saudi Arabia without a 123 Agreement? Russia’s Atomstroyexport has confirmed the schedule for four new Generation III+ VVER nuclear power units to be built at the Tianwan and Xudabao nuclear sites in China. Both sites are located on China’s eastern coastline. Construction of Tianwan-7 will begin in May 2021, Xudabao-3 in October 2021, Tianwan-8 in March 2022 and Xudabao-4 in August 2022. Commercial operation of the Tianwan units is scheduled for 2026 and 2027 while the first Xudabao unit will begin commercial operation in 2028. Two of the units at Xudabao were at one time scheduled to be Westinghouse AP1000s. World Nuclear News reports that the VVER-1200 projects in China will differ slightly to units of the same design built in Russia owing to different soil, climate and water supply features. In addition, the Russian export agency said in its media statement that China has a number of specific requirements related to nuclear, radiation and fire safety, and environmental impact. Rosatom describes the VVER-1200 as a Generation III+ power unit, which has a number of economic and safety advantages when compared to the previous generation (VVER-1000). It is 20% more powerful; requires 30-40% fewer operator personnel; and its operating period is longer, at 60 years, with the possibility of extension by an additional 20 years. The contract is reportedly valued at CNY 20 billion (USD$2.98 billion). China will provide financing, with Russia responsible for the nuclear island only – indicating significant localization of the supply chain. This arrangement may account for the relatively low figure for the value of the Russian contract. Tianwan Units 1 & 2, which are 1000/V-428 VVER, were completed in 2007. Tianwan 3 & 4, which are the same design, were completed in February and December 2018 respectively. Tianwan Units 5 & 6 are under construction and are ACPR1000 design which is an early version of the Hualong One. Xudabao Units 1 & 2 are CAP 1000 design and are expected to be completed this year. Units 5 & 6 are also scheduled for this site, but don’t have an official start date. The current design for them is also the CAP1000. This may change by the time the government gets around to authorizing a start for them. The VVER 1200 is a thermal neutron reactor with pressurized water used both as coolant and moderator. Its design provides for a two-circuit steam generating system with four cooling loops, main circulation pump, pressurizer, relief and emergency valves on steam pipes, and accumulator tanks of the emergency core cooling system (ECCS). 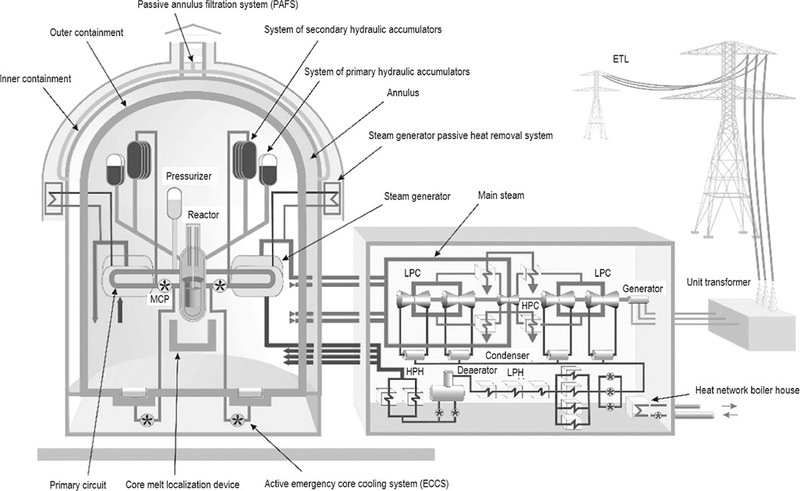 See the diagram below with a link to a link to an indepth technical description of the reactor by its principal designers. National Research Nuclear University MEPhI (Moscow Engineering Physics Institute). According to a Rosatom fact sheet, the VVER-1200 has a 20% higher power capacity while having a size comparable to VVER-1000. It also has an extended 60-year service life, load following capability, high capacity utilization (90%), and an 18-month refueling cycle. The reactor is also designed to accommodate MOX fuel. Compared to the VVER 1000 design, the number of personnel has been decreased by 30% to 40% (on a per MW basis) due to automation, and the centralization of functions and processes. The U.S. staffing factor historically has averaged about 0.7FTE per MW. Thus, a 1000 MW unit would require 700 staff. A 40% reduction would drop staffing to 420 FTE. If these numbers are comparable to the 1200 MW VVER, the announced change in staffing for that unit would be a significant cost competitive advantage for Rosatom’s customers. In terms of spent fuel Rosatom customers are usually required to return the spent fuel to Russia for reprocessing to make MOX fuel for its fast reactors. Rosatom charges its customers for the costs of shipping the fuel home. Also, customers are required to sign up for fuel deliveries for the service life of the reactor – in the case of these four 1200 MW units 60-80 years. China has just recently qualified the fuel for its Hualong One design, but does not have the ability to fabricate fuel for a VVER 1200. Rosatom has current as well as planned VVER-1200 construction projects in Bangladesh, Belarus, Finland, Egypt, and Hungary. See this Wikipedia entry for a table of VVER units installed worldwide. (NucNet): China will be able to build six to eight nuclear reactors a year if project approval processes return to normal as expected in the near future, the chairman of the state-owned China National Nuclear Corporation (CNNC) said in a recent statement to English language media in China. Channel News Asia said China did not approve any new conventional nuclear projects for three years before giving the go-ahead for two new nuclear power stations in earlier this year. After a two year pause, China has authorized two projects to break ground. 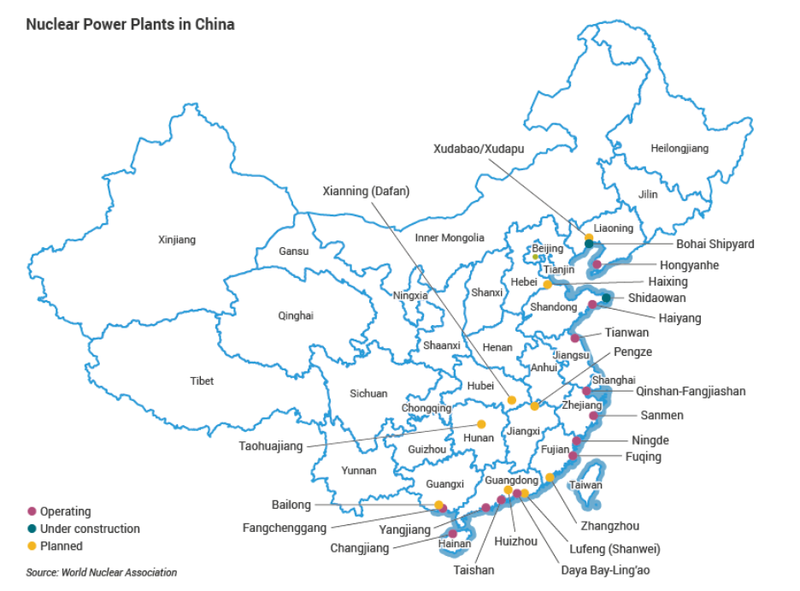 They will each build twin 1000 MW Hualong One reactors. Both projects are coastal sites and the result will four new Gen III design PWRs. Plans to build four Hualong One nuclear reactors at these coastal sites, Huizhou, Zhanghou, were already on short list for new construction starts as long ago as March 2018. Despite this rosy outlook a different story emerges from a forecast from the China Electricity Council.. It says China will fall short of its nuclear power generation capacity target for 2020. The country’s installed nuclear power generation capacity is expected to reach 53 GW next year, below a target of 58 GW, council vice-chairman Wei Shaofeng told an industry conference in Beijing last week, according to Chinese media reports. (NucNet): Saudi Arabia plans to issue a tender in 2020 to construct its first two commercial nuclear power reactors and is discussing the project with US and other potential suppliers, sources familiar with the plans told wire services including Reuters. Reuters reported sources as saying the project was proceeding slowly partly because the kingdom was still in discussions with all potential suppliers rather than narrowing them down to a short list. In January Saudi Arabia said it had received offers from five countries to build the first two nuclear power plants in the kingdom. Khalid Al-Sultan, president of the King Abdullah City for Atomic and Renewable Energy, said the countries are Russia, China, the US, France and South Korea. The Trump administration is said to have been negotiating a deal that would potentially help Saudi Arabia build two commercial nuclear reactors. Last month news reports revealed that since November 2017, Mr Perry has authorized so-called Part 810 approvals allowing US companies to share sensitive nuclear information with the kingdom. Senators from both parties have asked Mr Perry to provide them by 10 April with the names of the companies that got the 810 approvals, what was in the authorizations, and why the companies asked that the approvals be kept secret. What’s in a Section 810 Approval? The political dust up over Secretary Perry’s approvals of transfers of information about nuclear technologies to Saudi Arabia under 10CRF810 has led to widespread perplexity about what he really did, whether it was legal, and has also raised questions about the ongoing negotiations with Saudi Arabia for a 123 Agreement under the Atomic Energy Act. Due to significant angst in Congress over Saudi Arabia’s violations of human rights, the war in Yemen, and the murder of Washington Post columnist Jamal Kashhoggi, the appearance of “secret transfers” of nuclear information to that country turned Secretary Perry into a political dart board. Even the Nuclear Regulatory Commission was swept into the flood of outrage when the news media first reported that the agency had not been consulted about Perry’s actions. It turns out NRC staff had reviewed the transfers, but had not briefed the five agency commission members. The Washington Post subsequently reported on 03 April 2019 that the NRC staff was consulted, and had no objections to the recommendations, before these authorizations were granted. NRC Commissioners had told a Senate hearing the previous day they had no knowledge of the transfers. “U.S. companies applying for a Part 810 authorization are typically required by DOE to submit detailed business proprietary information about their business plans, market opportunities and technology. Confidentiality of this information promotes open, honest communication between industry and the U.S. government on matters of nuclear safety and security. NEI also pointed on in its “Frequently Asked Questions” briefing what the law does not allow the government to do. Part 810 controls the transfer of unclassified nuclear “technology” (technical assistance and technical data) overseas and to foreign nationals. Part 810 does not authorize the transfer of classified information, such as data about nuclear weapons and other military nuclear technologies or nuclear propulsion technology. Further, Part 810 does not authorize the export of any nuclear equipment or material such as uranium or nuclear fuel. Part 810 does authorize the transfer of technology for the design, construction, operation and maintenance of commercial nuclear reactors and key equipment and components for these reactors. Bottom line – Sec Perry appears to have been compliant with the law in making the 810 transfers, and in keeping some information secret, but in terms of political optics, to use a slang baseball term, he put his foot in the bucket with Congress. He made the decisions as far back as November 2017 while also at the same time telling Congress he was taking a strong position in Section 123 negotiations with Saudi Arabia. The collision of facts with the appearance, but not the reality, of deception is what set some peoples’ hair on fire. 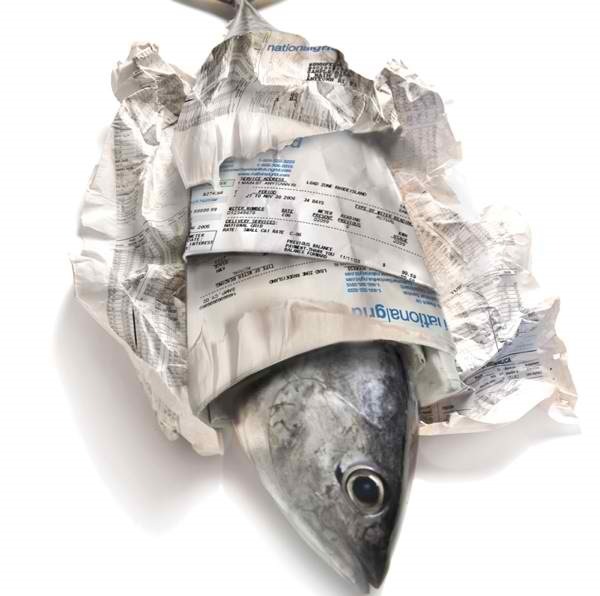 In any case, given the bizarre nature of the super-charged DC media cycle, by the time you read this, some other excitement and alarm will be dominating the news cycle and this issue will be more or less suitable, in newspaper terms, for wrapping fish.